Austin, TX, WPH Press, 11/11/18- The University of Texas Handball team played host to the 2018 Texas Handball State Championships & WPH R48 Pre Qualifier at the famed Gregory Gym on the University of Texas campus, featuring nearly 100 players from Texas, Missouri, Florida, Ohio, Colorado, Oregon, Pennsylvania, and Kansas. The fifth WPH R48 Pre Qualifier of the 2018/19 R48 8 season featured defending champion and R48 #35 Adam Bernhard (TX), R48 champion and former WPH #1 Allan Garner (TX), collegiate All-American and R48 #14 Max Langmack, former R48 pro Memo Pallares, and 2018 Missouri Bear Bash finalist Garrett Bacon. The Women’s Texas State Handball Championship field was also loaded with talent, headlined by WR48 future stars Kristen Hughes (TX), Taylor Rumping (MO), Kara Edwards (TX), and Leah Kirk (OH), as well as USHA Hall of Fame legend Jennifer Schmitt (TX). 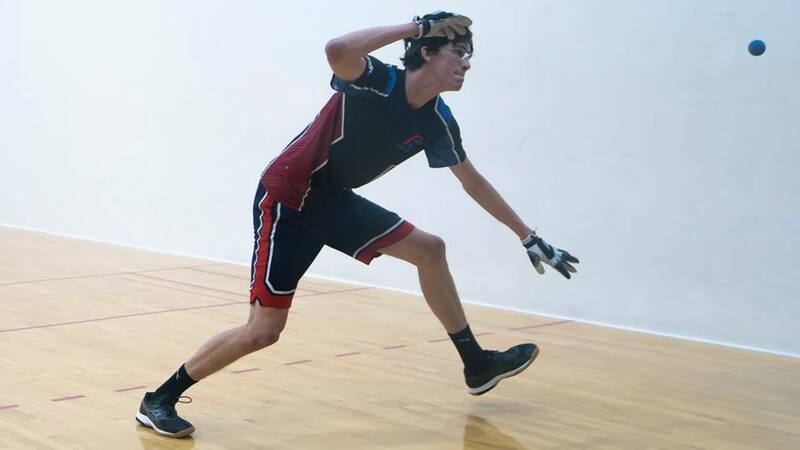 Missouri State’s Max Langmack entered the 2018 Texas Handball State Championships & WPH R48 Pre Qualifier aiming to erase a disappointing 2018 R48 Stop #2 Tucson Memorial last weekend that saw him fail to qualify. Langmack bounced back in Austin, advancing to the semifinals to face former WPH #1 Allan Garner. “At this point it’s really now or never if I want to start playing good handball again,” stated Garner. In the first matchup between the 6’9 rising star Langmack and the former 2009 World Handball Championship finalist Garner, Garner seized the initiative, taking the first game of their bottom bracket semifinal. Langmack regrouped, dominating game two to force a tiebreaker. Garner led 5-4 in the tiebreaker but could not keep the pace with his younger challenger, losing seven of the final eight points of the match to stall his comeback plans. Adam Bernhard entered the 2018 Texas Handball State Championships & WPH R48 Pre Qualifier as the defending champion and faced regular sparring partner and frequent Texas tournament rival Memo Pallares in the upper bracket semifinal. Pallares won game one by the most narrow of margins but dropped game two, setting up the second tiebreaker of the Men’s singles semifinals. Pallares started hot in the tiebreaker and stayed hot, never allowing Bernhard to score en route to an 11-point blitzing. Langmack continued his great play from late in his semifinal tiebreaker against Garner in the final, serving and shooting in game one of the final to route Pallares. Langmack cooled off in game two, making six errors in the first eight rallies to open the door for the Texan. Pallares seized the opening, converting his offensive opportunities and never allowing Langmack to into the game. Hall of Fame legend Jenny Schmitt continued to hold off the women’s next generation in the Women’s Open Singles, using her guile, experience, and outstanding shot making to ousting Kara Edwards in the semifinals and Taylor Rumping by a combined score of 84-28. Thank you to 2018 Texas Handball State Championships & WPH R48 Pre Qualifier tournament director Kristen Hughes for an outstanding event.